A 5-year old used car will cost around half compared with buying the same car brand new. 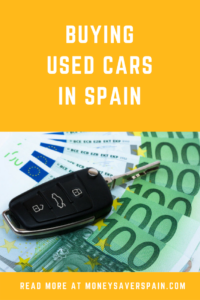 However if you’re thinking of buying a used car in Spain, you may be concerned about paying more than you should. Here we give you a few tips about what to look out for. In order to get a good idea of what you can afford, take a look online at used cars prices (for example at coches.com) or buy a magazine at your nearest kiosk. Take into account that extras add cost to a vehicle, but may not be of value to you as a buyer. Make a list of those extras you consider essential and others “nice to have” but only if the price is right! 2017 has seen a major shift away from diesel cars, leaving many dealers with too much stock. You may be able to get a better deal on a brand new diesel car rather than buying second hand. From 2018 the tax on diesel fuel will increase by 3.8 euro cents per litre, with more increases in the future. The aim is for diesel and petrol prices to be approximately the same. Bans on diesel cars without an eco-label (those manufactured before 2006) will increasingly come into force in big cities in Spain. For petrol cars, those manufactured earlier than 2000 are not entitled to an eco-label. Expect changes to eco-labels as time goes by and cities limit access to the centre for all vehicles except electric. KM 0: All car showrooms in Spain register a few vehicles which they then sell after a couple of months as “KM 0”. Prices are advertised as a lot lower than brand new, but you should check just in case. Contrary to what their name suggests, KM 0 cars have actually been used, for example for test drives, but they tend to have a lower number of km on the clock than ex-rental cars. On the plus-side these cars will still (normally) be covered by the manufacturer’s warranty. Ex-rental cars: Before 20 May 2018, these cars had to pass the ITV inspection after 2 years, however this has now been changed to be the same as other vehicles (after 4 years). Cars that belong to driving schools have a stricter calendar for ITV inspections. Before purchasing check if the vehicle needs to pass the ITV for you to be able to put it in your name. This may also apply to KM 0 cars too, it depends how they were originally registered. Price and validity (must be valid for at least 10 days). Brand, model, cc, chasis number and licence plate. Age, km and last service details. ITV (official vehicle inspection): date and test result. Also any additional ITV tests if the vehicle has been involved in an accident or has been significantly modified/tuned. Date vehicle purchased by seller. Warranty (legal and commercial – they may differ). The minimum warranty is 1 year. Any outstanding debts or charges. Buying from a dealer could mean you get a discount if you trade in your old car. 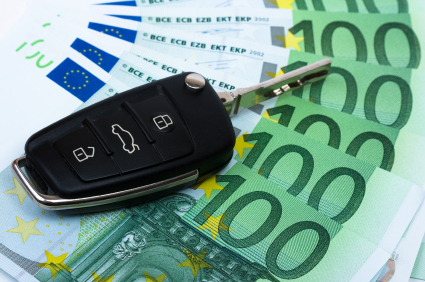 Consider looking at private used car sellers to save between 1000€ to 3000€ compared with a dealer. You can check prices at locations near to you on major websites: Vibbo or Mil Anuncios. Private sellers are only obliged to give a 6 month guarantee that covers faults existing at the time of sale. Unfortunately for buyers, faults can be difficult (and costly) to prove. If your knowledge of vehicles is not great, take along someone who understands cars. Alternatively contract this service for around 100€. If you find any minor problems, negotiate a price reduction. Avoid scams by checking all documentation regarding who the car belongs to. Additionally check the car registration, previous owners and if any fines are outstanding. Your local Traffic Office (Jefatura Provincial de Tráfico) can supply a full vehicle report. You’ll need the licence and chassis number. Request the report online (at the link) or at your local office. Even if you do use the Traffic Office service, ask the seller directly for details of the latest ITV and proof that the local road tax has been paid to the Ayuntamiento. What About Taxes and Paperwork? When buying a second hand car in Spain from a dealer you’ll have to pay sales tax (IVA – already in the price). If buying from a private seller you’ll have to pay the Impuesto de Transmisiones Patrimoniales. This tax will be calculated on the official value of the car (make, model, age) and NOT the selling price. Most regions in Spain have an online tax calculator, here’s the one for the Andalucia region. As for the paperwork, buying from a company means they’ll deal with it directly. Otherwise you’ll be responsible for the paperwork for changing the vehicle over to your name. When dealing with a private seller always draw up a contract, even if you’re buying from a friend. Keep all documents until you sell or scrap the car. Cheapest Insurance for Used Cars? It’s normally not cost effective to pay for fully comprehensive insurance for a used car. Check out third party (with/without extras) on online comparison sites such as Rastreator. Once you have the results by email, call the companies directly to see if you can get a better deal.